Tech at Night: California Democrats are bonkers. How to fix patent trolls. 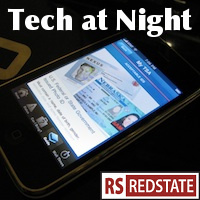 Tech at Night: California delusions continue. Silk Road shut down in another blow against Tor. If it’s true that 83% of people in the UK never download from copyright infringers, and if the UK is like the US in that, then all the MPAA and RIAA hysterics about Google are overblown, I think. Once you’re talking about 17% of the population, you’re nearing the percentage of the population below the poverty line, who were unlikely to be big customers to begin with! Note: I’m not defending copyright infringers here. I hate the freeloader culture. But blaming Google for them is not a sensible thing to do. FCC probably shouldn’t try to be mandating specific technologies. We risk making our own Concorde: an overpriced, underused waste of money. Oh hey, you know all that yelling about how the anti-hacking laws are unfair? It turns out they’re not that easy to abuse after all, as an angry middle school assistant principal found out. Didn’t I say all along that NSA was using metadata to make charts of connections to search for threats? Why yes, I did. That said, I think it’s reasonable that if we’re going to have NSA out there using FISA to do work on US-based firms, then changing the law to create a minimal, aggregated level of transparency is something we should do. The public should be able to make informed opinions on the subject of FISA.